This list is different from the Most Popular Lindy Hop Videos of 2011 post from last week in that it is a compilation of videos that were popular with the visitors of the Wandering & Pondering Facebook Page. In putting this list together, I ran into the same problems as I did in selecting blog posts to feature in the Wandering & Pondering’s Lindy Blogging Highlights of 2011. It’s a bit difficult trying to determine what was more popular than others based on all the different data available, both objective and anecdotal. In the end I just took everything that got pretty good numbers in one category or another, but didn’t do any sort of ranking other than selecting the main video out of each category to highlight at the beginning of each category. The other thing I noticed is how something like this is at the mercy of what I decide to post. I realized this after noticing that this list is short on ILHC entries, and that’s when I remembered that I actually didn’t post many videos from that event because I saw everyone else was posting them on Facebook, on their blogs, and other places. One of the purposes of the FB page is to drop the hidden gems I find without going through the trouble of formatting them for presentation here on this blog. In the process, I deliberately eschew stuff I figure most people already know is out there. Part of that is because I feel that the kind of person that follows this blog is past the casual beginner stage, and is a bit more discriminating in their tastes. I think that’s reflected in the videos you guys ended up favoring over others. Yeah, I just realized that I just described you and my blog as the hipster part of the Lindy scene. I apologize. I’m not sure what that says about you guys, but I do like your taste in videos. Because there really wasn’t much happening on this blog. Fortunately, the lindy blogging community exploded like a hippo after a trip to a state fair chili cook off. I talked about this extraordinary growth earlier this year on this blog, and it’s been good to see it continue. I mentioned in my first year anniversary post that I started this blog mostly because I wasn’t seeing much in depth conversation about dancing. I like to pretend that my lack of production is reflected in the fact that so many other people are posting interesting stuff. I wanted to do the same sort of thing for blog posts as I did for the most popular Lindy Hop videos, but I quickly discovered how hard that would be since there is no one place like YouTube where I can reliably check who has had the most hits over the past year. At first I went through my handy dandy Facebook page for this blog and compiled the posts that got the most “likes” and comments. As I went further back, I realized the problem with this approach since I only started FB page in February, so obviously items posted earlier this year got fewer responses. Facebook does provide “Insight” numbers (number of impressions, views, clicks, responses, and virality which sounds slightly obscene) for posts on the page, but they only go back to July 19, 2011. The other problem I noticed is that really popular posts like stuff by Bobby White or Rebecca Brightly were re-posted by other people which would garner responses I wouldn’t necessarily notice, and would subsequently lessen the likelihood of people liking or commenting on my page. I thought about alternate ways to factor this in, but there really isn’t a good way to do it, especially with my short attention span. It’s not too often that you get to hear the same band with the same personnel play the same song on the same recording date and give it two entirely different feels. The first version was brought to my attention twice by two separate people. Skye Humphries first mentioned it to me last summer, and then I later heard Naomi Uyama play it while DJ’ing at The Jam Cellar one evening. This is actually called “I Can’t Believe That You’re In Love With Me #2,” but I heard this one first. Shoot me. It’s pretty slow at about 127 beats per minute, just barely skimming the line between being able to swingout to it and straight up ballad. The thing that helps blur that line is the playing of the front men who will all speed up as often as they slow it down during their solo’s without changing the overall tempo. This is a master class on how to swing. The effect at this tempo gives the song a nice dynamic that keeps listeners and dancers on their toes without confusing them. I think it’s just a gorgeous song to dance to. Not pretty or cute. I’m talking about the definition of beauty for the ears. Benny Powell passed away this weekend just at a time when I’ve been considering the concept of humility quite a bit lately. Benny played trombone for Count Basie through much of the New Testament period of that orchestra. I had the pleasure of meeting him while working on Frankie95 last year. He was one of the more prolific musicians during the weekend. He co-led the band for Frankie’s memorial service. Then the next night my man just showed up to play when he didn’t have to. He confused the heck out of everyone because we thought he just got his nights mixed up since he was scheduled to play with Wycliff Gordon and Art Baron on Monday night. But he heard of the three big bands playing on Saturday, and just wanted to be there. Part seven of my Frankie Manning’s 95th Birthday Festival recap with a few grammatical edits from the original. You can see a compilation of videos from Sunday here on my site. This note was originally posted on June 24, 2009. The rest of Sunday evening went pretty smoothly. Sitting through the Jack & Jill semi-finals reminded me why these things are usually scheduled in the afternoon of most events. We were originally supposed to do it right after the show and before the bands took the stage to give people time to go eat dinner or otherwise freshen up. Unless you’re in it, prelims and semi-final dance contest rounds aren’t the most riveting things to watch. Thanks to Joel Domoe, Aurelie & Tony Tye and our DJ, Ryan Swift for moving things along as quickly as possible. A few people have questions about what’s happening with Frankie’s 95th Birthday Festival. To be honest, there aren’t that many answers. Or at least few that I can give publicly. 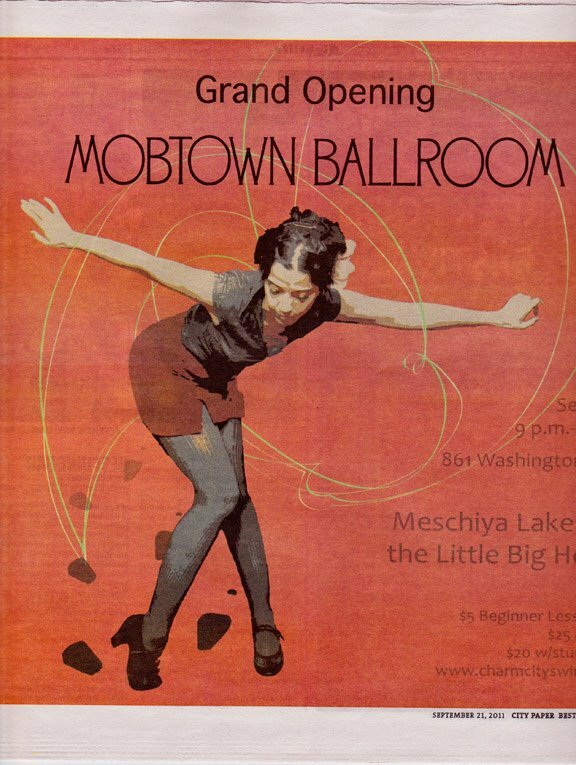 It’s become cliché to call this the biggest Lindy Hop event “eva,” but it’s very apropos. It’s a big, huge beast with a lot of moving parts dependent on other parts, some of which are not in place yet.